JingProject is an application to take screenshots of anything on your desktop, record video of what you do, and share online. It’s up to you to decide where to send images and videos: to a local folder, network drive, FTP server, Flickr or Screencast.com. AviScreen -is a tool for capturing screen activity. You won’t see AviScreen window on the captured video. It is always working in the background. It will be visible only as an icon on the taskbar. You can save videos both uncompressed or compressed. There are more than 20 different kinds of VFW codec. Copernicus is a perfect solution for taking a large number of screenshots. You can save them all at once or one at a time. It allows to save directly to RAM. It’s only disadvantage is that there is no support for recording audio. Wink is a tool for creating tutorials and presentations. It allows to capture screenshots, and add explanations boxes, titles, buttons. Screencast-O-Matic is a Java-based screencasting online application. It works perfectly with Macs and Windows. It allows to create a screencast and upload it for free hosting. There’s a 15 min. limit for free hosting. Adobe Captivate makes it possible to create powerful trainings, screen recording, presentations, quizzes, and podcasts without any programming skills. The price is $699, upgrade $299. A 30-days trial is available. AllCapture is screen recording software designed to capture screen activities in real-time. The steps are as easy as: record, edit, export, and play. The program allows to record even webinars or video conferences in real-time. You can easily edit your video, insert notes, captions, and special effects, convert presentations to Flash, ASF, EXE, DVD, SVCD and VCD. Currently AllCapture comes at special price € 169,00. Free trial is available. ScreenMimic makes it possible to create screencasts of your Mac OS X desktop, save them as Flash Video, Adobe Flash, or Quicktime files. It comes at $65, free trial. HyperCam is a fast and easy application to capture the action from your screen and save it to AVI file. Sound from your system microphone is also recorded. You can use it to create online tutorials, help system, online tutorials, training, presentations, Web page, email message and more. HyperSnap comes at $39.95. Upgrades for licensed users costs $10. Free trial is available. iShowU is created to record anything on your screen. iShowU is very easy to use. You’ll need only to drag the capture rectangle over what you want to record and hit enter. It allows to capture mouse positions (or not), pause or resume recording at any time. The price is $20, free 30-day trial. ScreenRecord is screen recording software that allows to capture the screen as a Quicktime movie. Key features: universal binary, audio input, record with date and time, customizable cursors, custom movie size, and more. Free trial, $19.95 to purchase. “ScreenFlow has the best screen capture available. Using a custom multithreaded SSE & Altivec accelerated, 64-bit enabled compression system, ScreenFlow can handle everything from capturing DVD video & audio to fast moving Keynote presentations. 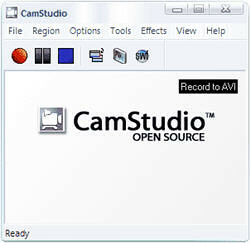 What about TechSmith Camtasia Studio? What about Camtasia 5? It simply rocks! Very nice features for screencasting. The list is extremely useful! Especially the free list. but which of these do you recommend? I’ve used a few of these and found them to be extremely frustrating.